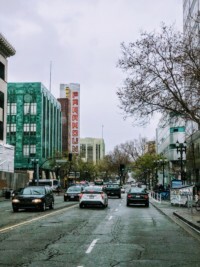 Living in downtown Oakland has become one of the trendiest places to live. What used to be the quiet, almost deserted part of town has recently become the beating heart of the whole city. 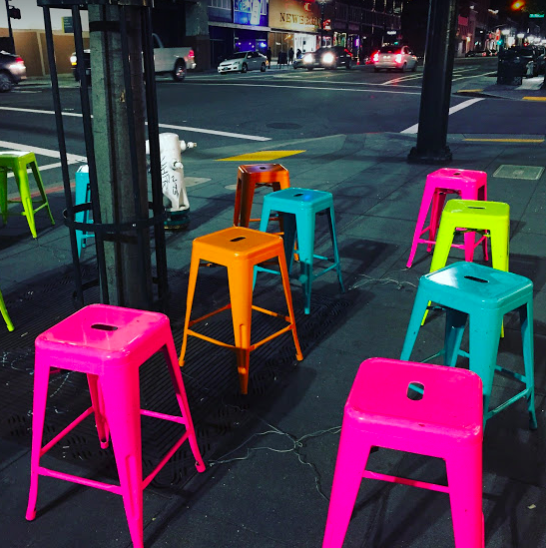 With newer restaurants and clubs lining the streets, community events like the monthly Art Murmur/ First Fridays, Oakland Art and Soul Festival (celebrating it’s 16th Year), and Oakland Running Festival, downtown Oakland has been getting a lot of attention recently. Some landmark features you don’t want to miss: The Fox Theater which was recently renovated hosts amazing concerts with bands/acts from all over the country; The Kaiser Rooftop Garden with it’s 3.5 acres of amazing reflecting pools, wooden bridges and green grass all on top of the Kaiser building. Admission is free to the public! The myriad of restaurants and bars including : Flora (amazing art-deco restaurant), MUA, Chop Bar, Pho 84 (Oakland’s oldest and yummiest Vietnamese restaurant), Brown Sugar Kitchen (opening soon though they were in W. Oakland for quite some time), and Drake’s Dealership for a good beer and some company! 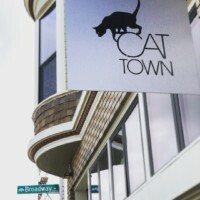 And the coolest new addition to the area is a Cat Town Cafe where you can you grab a coffee, hang with some cats and maybe even adopt one! 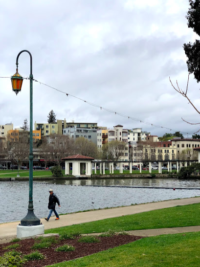 If you are wanting to get some exercise during the day or check out the sights, you have to go see Lake Merritt, which in the past 5 years has undergone a large and successful revitalization. 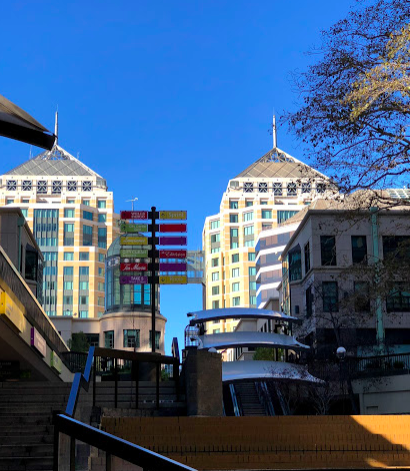 The rehab project included a new path all the way around the 3.2 miles of lake, a lovely restaurant (the Lake Chalet) anchoring it on the downtown Oakland side, and gondola rides from a professional gondolier. There is also a bird sanctuary and nature center that hosts students and camps throughout the year. And Lake Merritt is also home to Fairyland, where kids can go and visit live story sets and ride on whimsical rides. 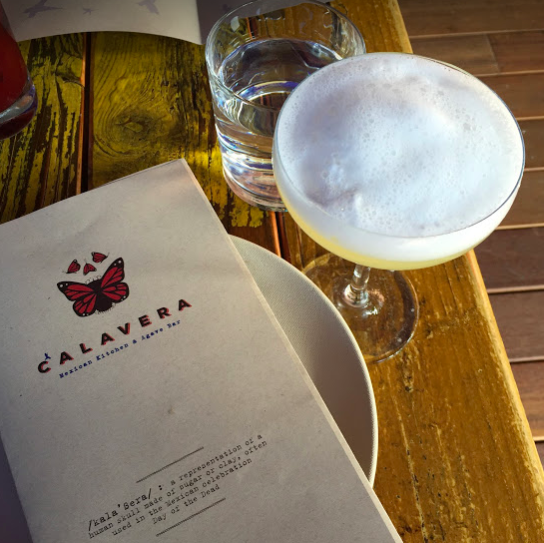 There is so much to see and do in the downtown area of Oakland. Nightlife, good eats, and good sight seeing as well. Centrally located it’s with access to two BART stations, and the freeway. Besides Lake Merritt which is pretty easy to get to and walk around from anywhere in downtown Oakland but particularly Uptown, the Kaiser Rooftop Garden should not be missed! It’s 3.5 acres of amazing reflecting pools, wooden bridges and green grass all on top of the 1359 st ft Kaiser building. Admission is free to the public! First Friday Art Murmur – the first Friday of every month, Oakland Art Murmur hosts local artists and venues in the streets of downtown Oakland.